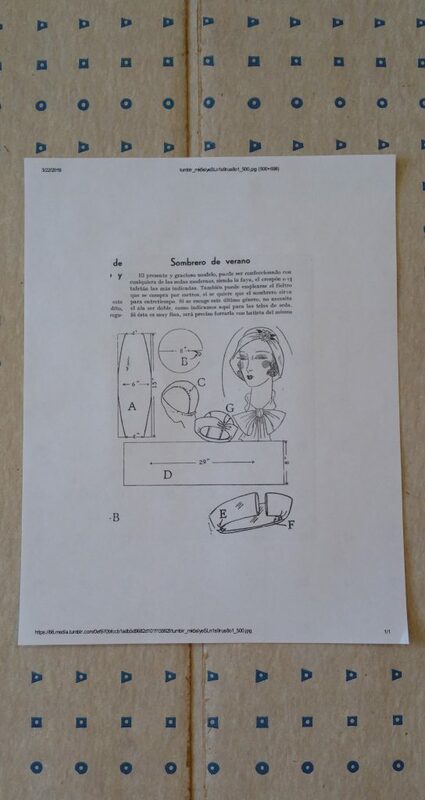 Although the last to be featured in our series, hat patterns from the 1920’s were the first to spark my millinery curiosity! 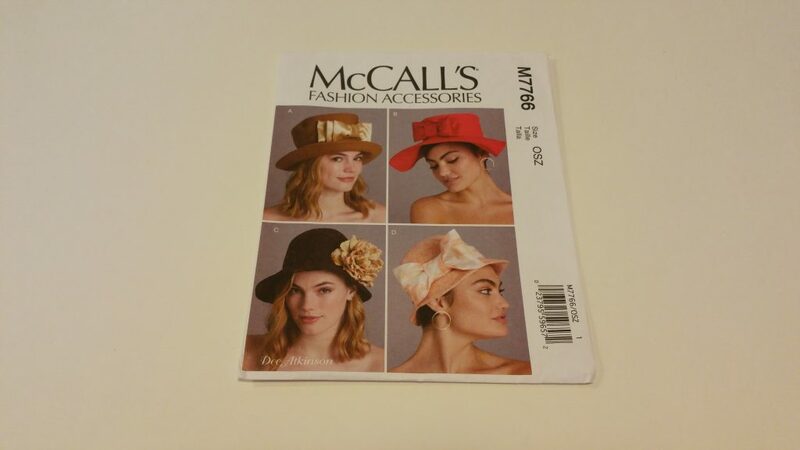 A quick search of Pinterest revealed many free patterns with accompanying dimensions and sketches of hat styles. The projects appeared to be quite doable… so I made my first attempt with a pattern from this website. My previous hat projects, which you can view here and here, were based on styles from the 1940’s and 1950’s. Unlike those patterns, however, this one had to be enlarged without the help of a grid over the pattern pieces. Instead, I used the given measurements to sketch out pieces based on those in the pictures. I did not take pictures of the process as my mission was originally exploratory. Would this even work? A good deal of effort later, the answer was “yes” but with some challenges. Here is my version of the hat, made from beige felt. The pieces from my pattern did not fit together perfectly. As you can see in the picture, I ended up gathering the center piece of the crown to help it fit the side pieces. The brim also needed a bit of gathering. Here is the hat with the brim not folded. Here is the hat with the brim folded. 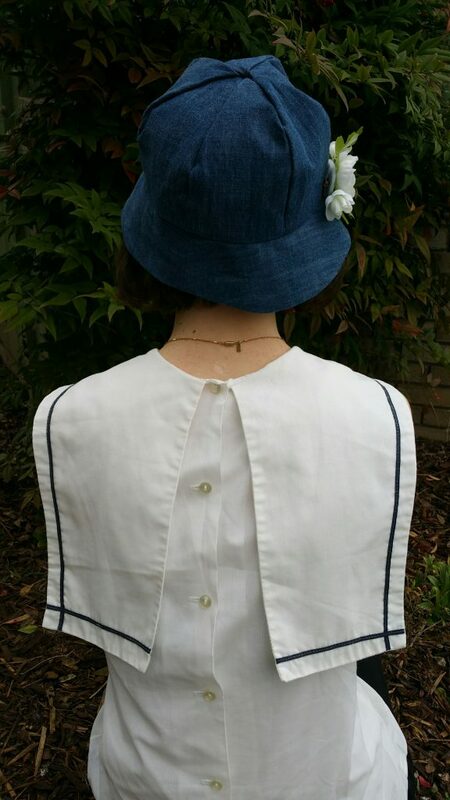 The beige felt was too stiff to gather with a flower pin as shown in the original picture. 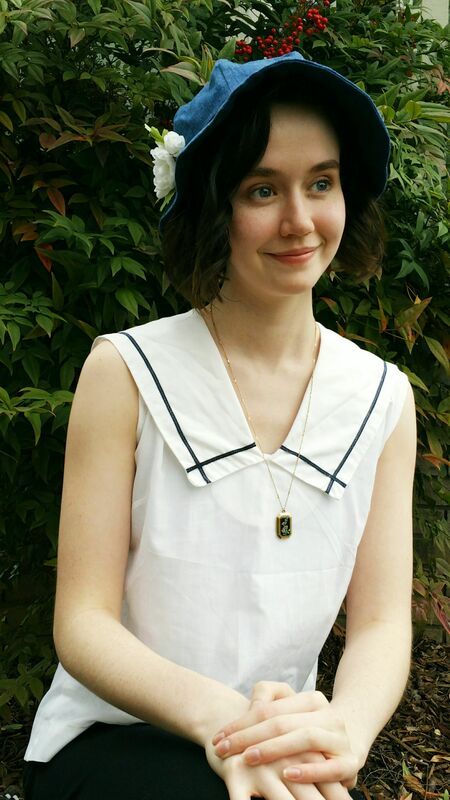 Although different from the original picture, I think the finished hat looks authentic to the 1920’s! 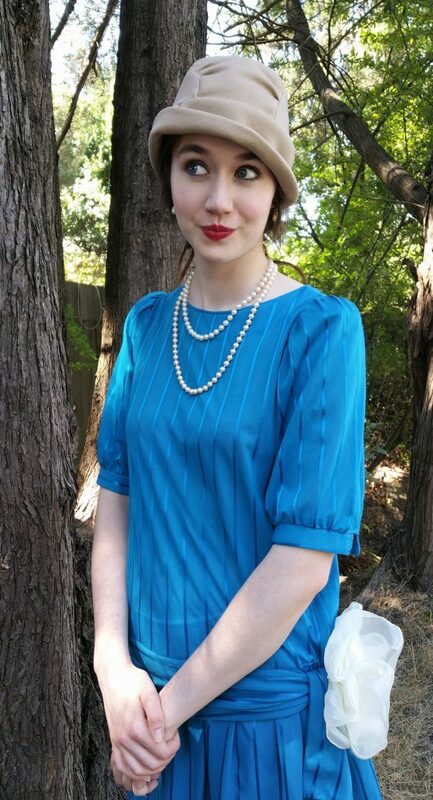 Lindee was the first to style the hat in our post “Costume Time: 1920’s Style! After the challenges presented by the vintage pattern, I was ready for something more dependable. 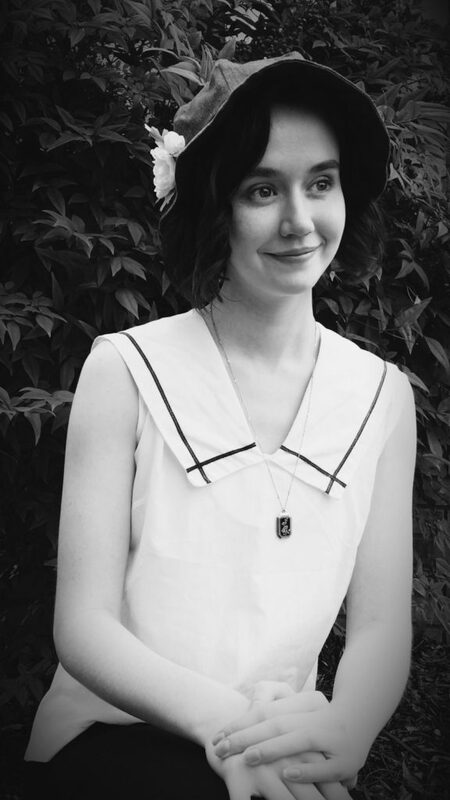 I still wanted to find a workable 1920’s hat design for future costuming needs! To help, I turned to vintage-inspired modern patterns. 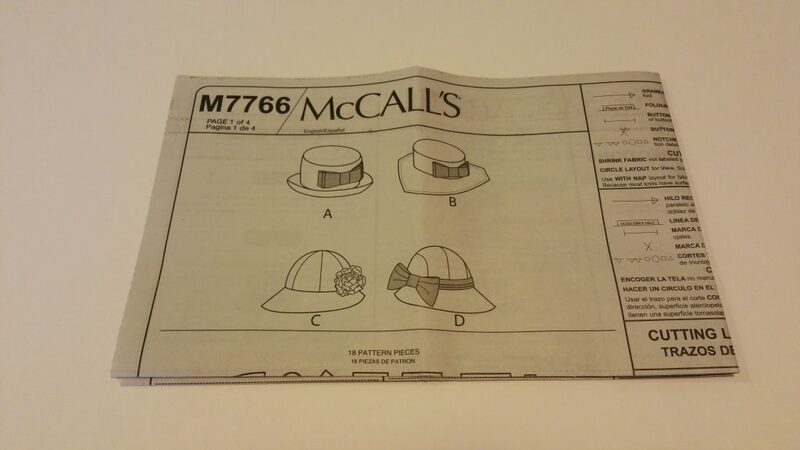 I purchased mine at the craft store, but there are some very tempting patterns on Etsy, such as here and here. This is the pattern I used. Lindee again agreed to be my hat model. It was perfect timing, as she had just gotten a bob haircut! Very 1920’s! 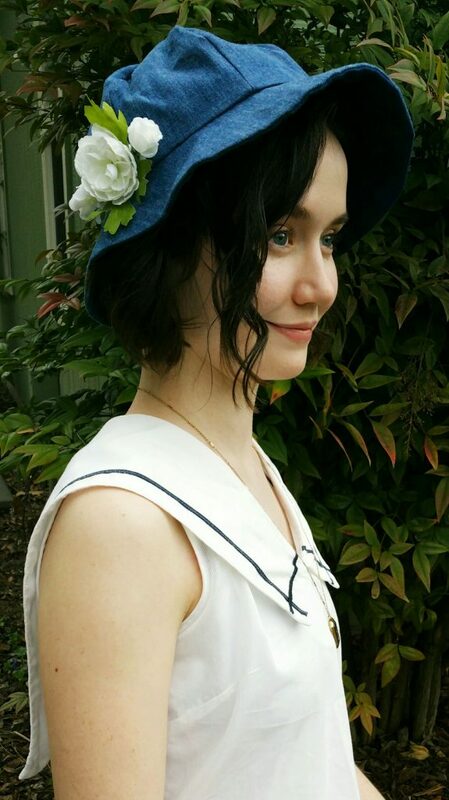 We added a flower pin for vintage flair! Look for a pin making tutorial coming next week! I have made this pattern a few times now and will definitely make it again! 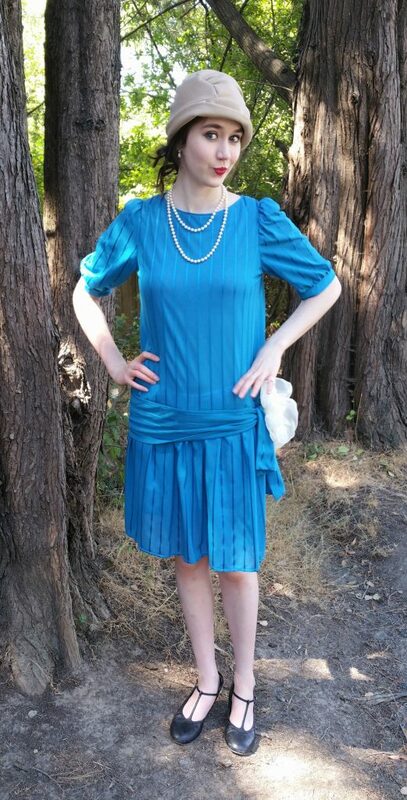 I have some 1920’s outfits that are in need of custom accessories!